Crenshaw told officer he pulled a pair of scissors from his suitcase with his feet and stabbed the victim, the report states. 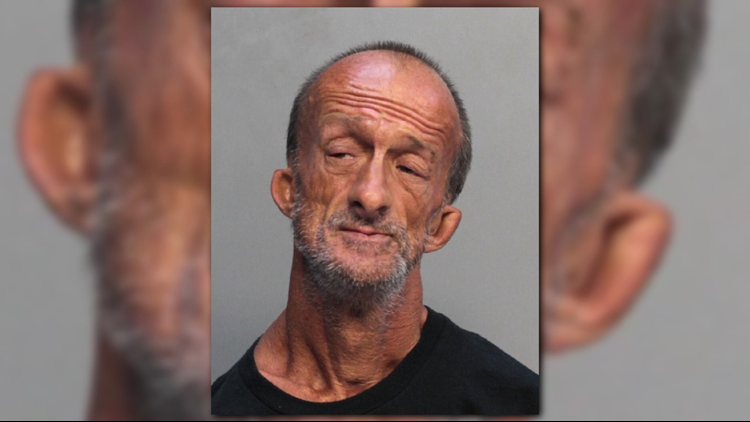 A man vacationing in South Beach was stabbed just after midnight Tuesday by a man with no arms. Responding officers found the victim lying on the ground bleeding from his left arm, according to a Miami Beach police incident report. A friend of the victim told police they were just asking for directions, the report states. That's when the suspect, identified as Jonathan Crenshaw, 47, pulled out an unknown object and stabbed the male. Officers found Crenshaw, who was also described as a local artist. Crenshaw told officers he was defending himself. He told officers he was lying on the ground when the victim came up to him and punched him in the head. Crenshaw told officers he pulled a pair of scissors from his suitcase with his feet and stabbed the victim, the report states. The victim was treated for his injuries and Crenshaw was taken to jail and charged with aggravated battery, the report states.